Patients who said they communicated effectively with their healthcare providers were more likely to report the use of prescribed statin drugs and aspirin. Patients with good healthcare provider communication were less likely to go to the emergency room. ARLINGTON, Virginia, April 3, 2017 – Patients with hardened arteries who reported good communication with their healthcare providers were less likely to use the emergency room and more likely to comply with their treatment plans, according to a new study presented at the American Heart Association’s Quality of Care and Outcomes Research Scientific Sessions 2017. Patients who said they communicated effectively with their providers were 52 percent more likely to report the use of prescribed cholesterol-lowering statin drugs and 26 percent more likely to report taking aspirin. Patients with good provider communication were 41 percent less likely to go to the emergency room. In comparison, those who reported poor communication with their healthcare providers were twice as likely to report poorer outcomes and spent $1,243 more in healthcare costs. “A patient’s beliefs about their illness, their perception of the health care system, the extent to which a physician fulfils the patient’s requests and other obstacles can make it a challenge for patients and providers to connect,” said lead study author Victor M. Okunrintemi, M.D., M.P.H., a researcher at Baptist Health South Florida in Miami. Follow news from the American Heart Association’s Quality of Care and Outcomes Research 2017 via Twitter: @HeartNews #QCOR17. Statements and conclusions of study authors that are presented at American Heart Association scientific meetings are solely those of the study authors and do not necessarily reflect association policy or position. The association makes no representation or warranty as to their accuracy or reliability. The association receives funding primarily from individuals; foundations and corporations (including pharmaceutical, device manufacturers and other companies) also make donations and fund specific association programs and events. The association has strict policies to prevent these relationships from influencing the science content. Revenues from pharmaceutical and device corporations and health insurance are available at http://www.heart.org/corporatefunding. 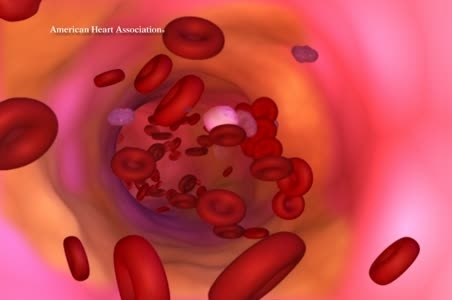 A computer generated graphic animation of a blockage forming in the heart. Please do not remove copyright from animation.